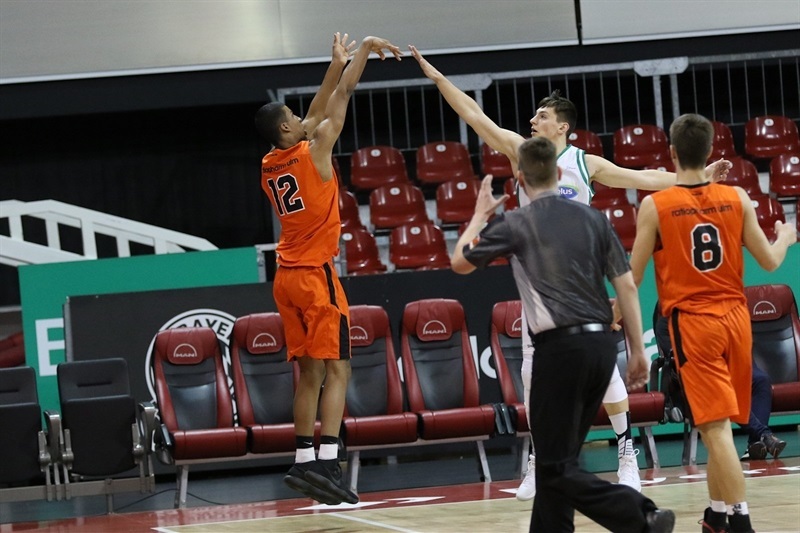 Debutant U18 ratiopharm Ulm secured a seventh-place finish in the Euroleague Basketball ADIDAS NEXT GENERATION TOURNAMENT Munich after scoring up a 67-78 victory over U18 Real Betis Energia Plus Seville. Ulm used a 2-16 fourth-quarter run to decide the game. Five Ulm players scored in double figures including Mate Fazekas, who had 14 points, 7 rebounds, 4 assists, 2 steals and 1 block, and Jason George with 14 points and 5 rebounds. Timo Lanmueller, Zachery Ensminger and Tim Koepple all added 11 points for the winners. 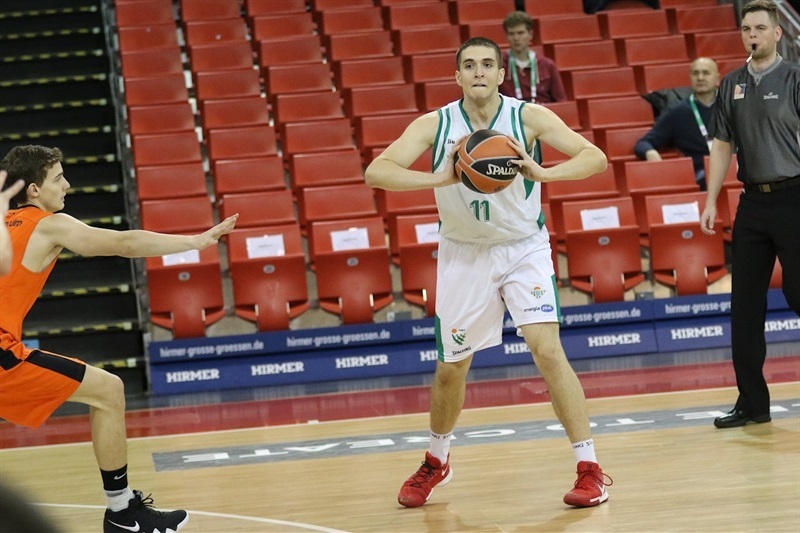 Betis got 17 points and 11 rebounds from Tomas Balciunas while Anthony Da Silva had 12 points and 7 assists in the loss. 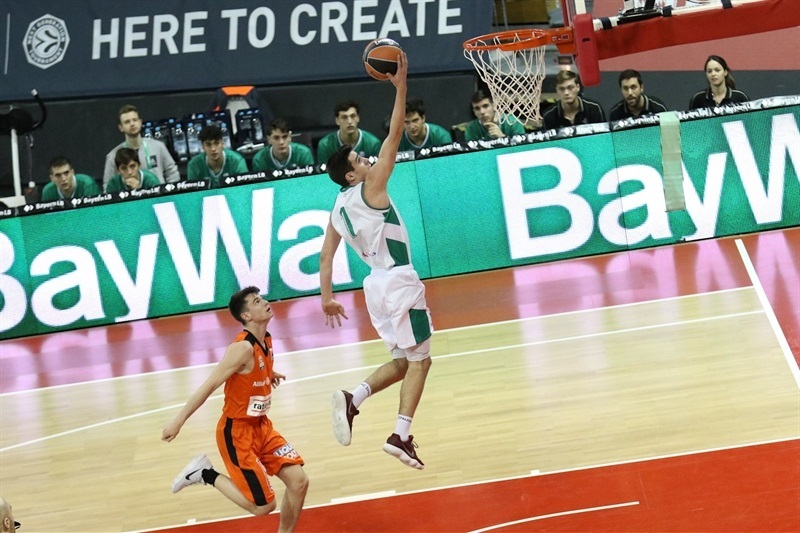 Betis made just 5 of 28 three-pointers (17.9%) in the game. After Ulm scored the first 5 points of the game, Betis followed with the next 8 points. Ulm got within 10-9 midway through the first quarter. Da Silva scored 5 points in a 10-0 Betis run for a 20-9 advantage, which was 22-15 after 10 minutes. Ulm came out much stronger in the second quarter with a 5-12 surge to knot the game at 27-27. 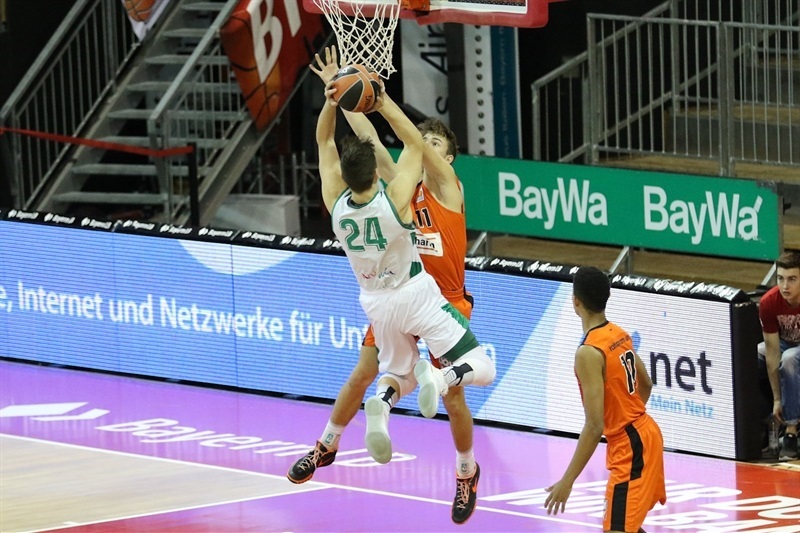 The German side pulled back ahead 34-36 after a 0-7 spurt, but Betis went into the break leading 39-38. 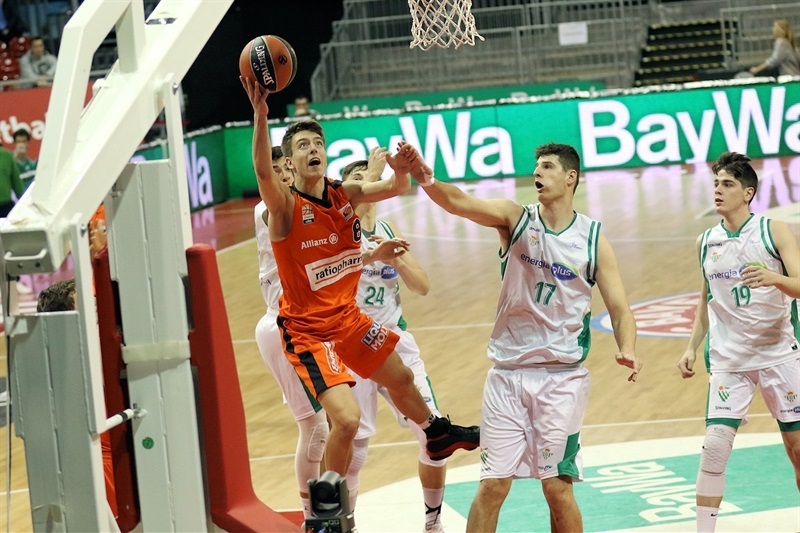 The game was tied 46-46 after back-to-back three-pointers from Lanmueller. 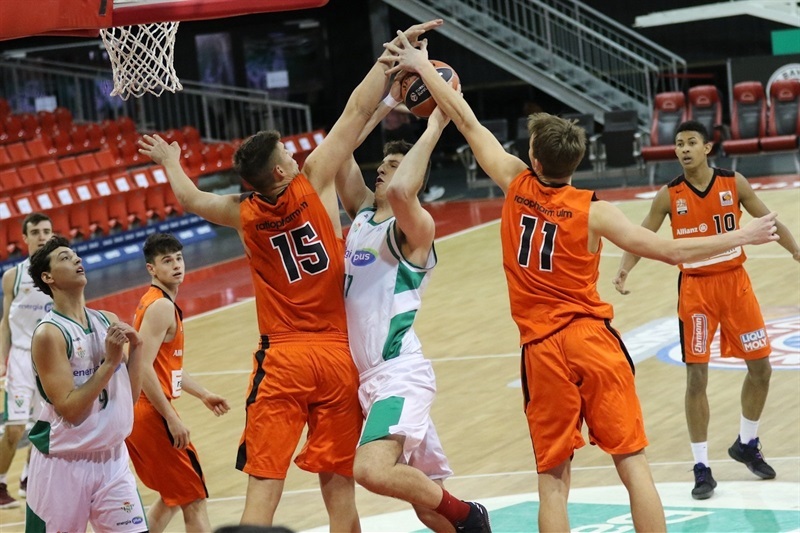 Betis answered with a 7-2 run to go up 53-48 and it remained close with the Spanish team ahead 57-56 after 30 minutes. 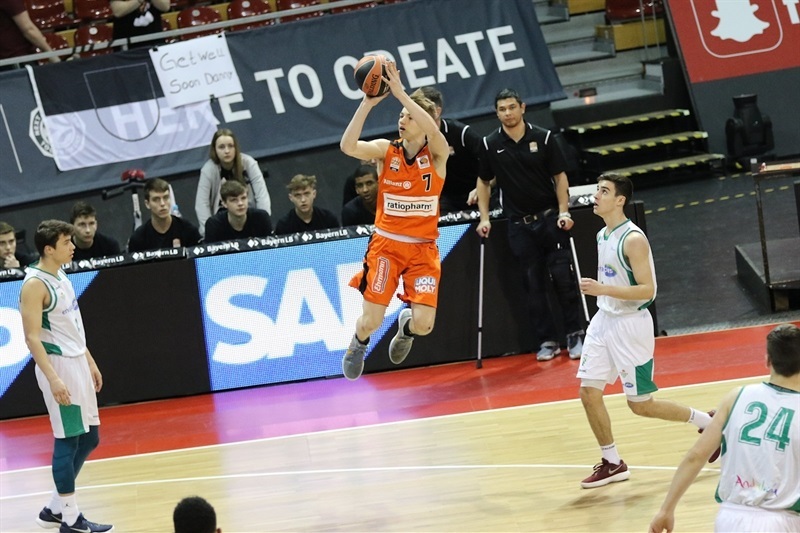 Lou Demuth’s free throws put Betis up 59-58, but Ulm’s defense held Betis to just one basket and George scored 6 points in a 2-16 run over seven minutes for a 61-74 lead with two minutes to play to decide the game.